Colour is everywhere in your home. From more permanent fixtures like windows, doors, and flooring to soft furnishings such as sofas, curtains and paint and wallpaper. Every colour choice you make around the home says something about your tastes and personality. How to colour your home to maximise its potential will depend on what sort of ambience you want to create. For a cosy atmosphere choose warm colours like red or yellow; to create a brighter, more spacious feel choose lighter creams, cool blues, and neutral tones. One of the most important factors to consider is an overall colour scheme which runs throughout your home. This will help to create a uniformity which will be tasteful and create a relaxing atmosphere for you to enjoy. Whether bold or subtle, the right colour scheme will bring harmony to your home. You may think that the only way to change the colour scheme of your home is by re-decorating. This is not necessarily the case. If you have neutral magnolia walls and white ceilings and woodwork; your colour scheme will need to come from elsewhere. Artwork and soft furnishings can combine their prominent colours to create a harmonious effect. Create a theme such as the seasons, the sky, or seascapes where a primary colour runs throughout your home. You could also install coloured windows for a more permanent base colour for your home. At Kingfisher Windows, we install uPVC coloured windows in your choice of 28 different coloured foils. From classic Chartwell Green to contemporary Anthracite Grey; we’ve got the colour to match your palette. 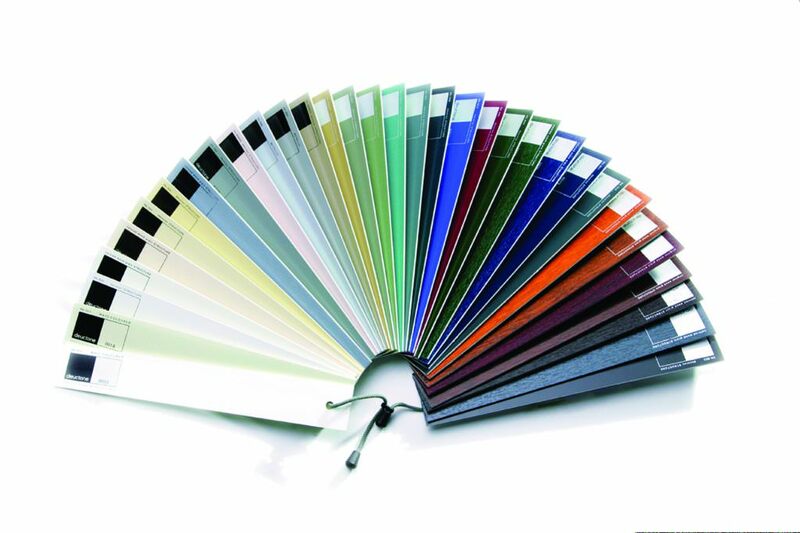 If you want a truly unique or unusual colour for your home, our aluminium windows can be powder finished in any of over 200 RAL colours. Black and white go with anything – The classic contrasts will make any colours jump out with enhanced juxtapositional vivacity. There really are 50 shades of grey – From almost white to charcoal, greys are fashionable and sophisticated, and will coordinate well with any colour. Greens = nature – Adding green to your home can boost your mood and create a positive atmosphere. The right shade of green can evoke spring gardens and country idylls; the perfect partner to an attractive house plant. coordinate your palette – Whichever colours you prefer, try not to combine colours that clash. Either choose complementary colours which are close on the colour wheel such as bright yellows and reds. Alternatively, choose a dramatic contrast with colours from opposing ends of the spectrum such as rich orange on cool blue. 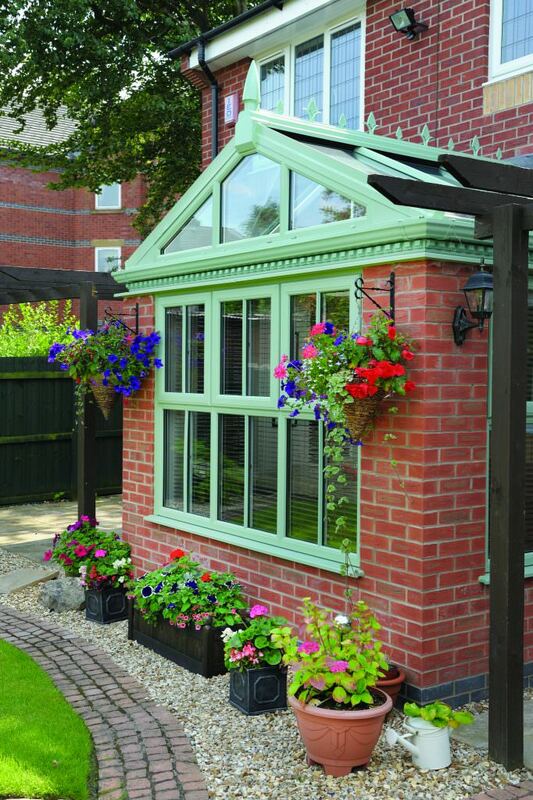 If you’d like to add some colour to your home with new windows from Kingfisher, contact us today. Call us on 0800 58 59 45 or send us a message online. There’s always a member of our team, happy to offer advice on the best solutions for your home improvement plans.